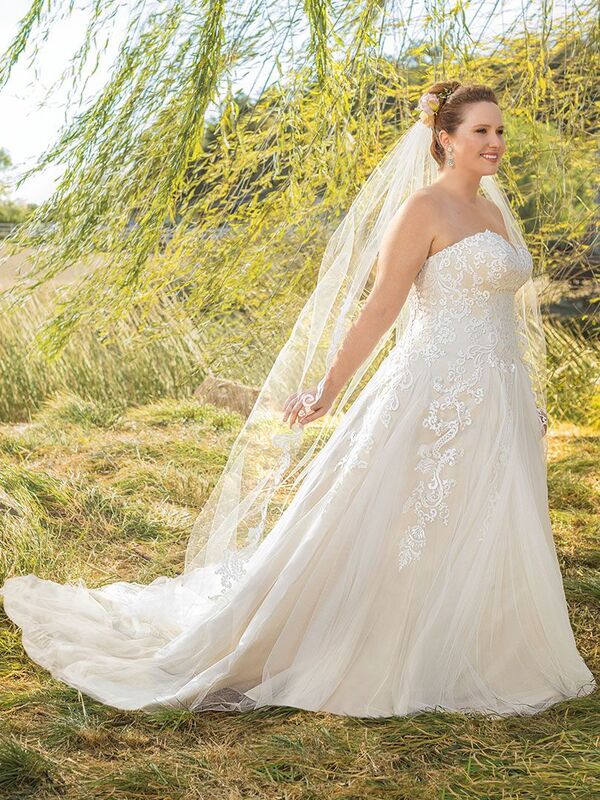 Sadie sweetly strides down the aisle with confidence, due to the perfectly flattering A-line pattern of this gown. The dropped waist elongates the frame, as do the streams of floral lace appliques that blend into the skirt, interspersed between tulle godets. 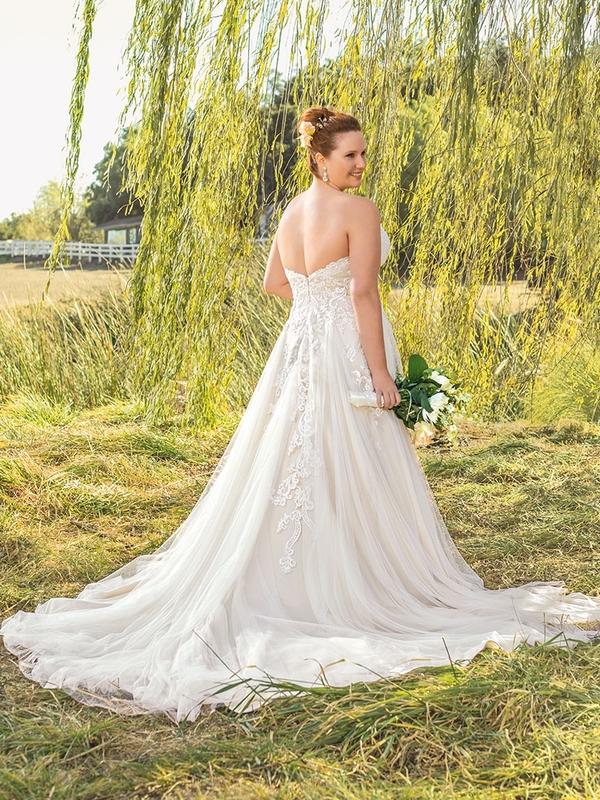 Topped off with a strapless modified sweetheart neckline, Sadie is sure to be a favorite this season.